1. Great for concerts, school spirit events, sporting events, and other shows. 4. Best gift for friend and children. 5. 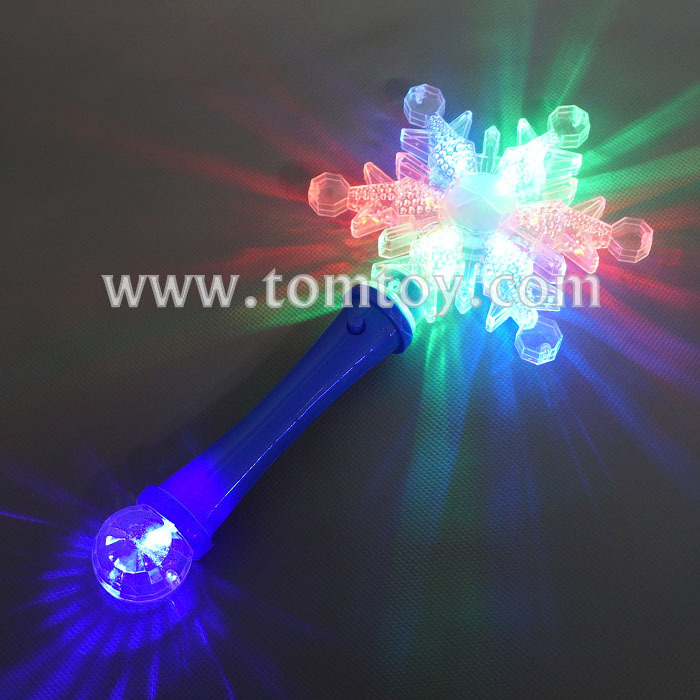 Perfect For Birthday Parties & Events, and Everyday Play! 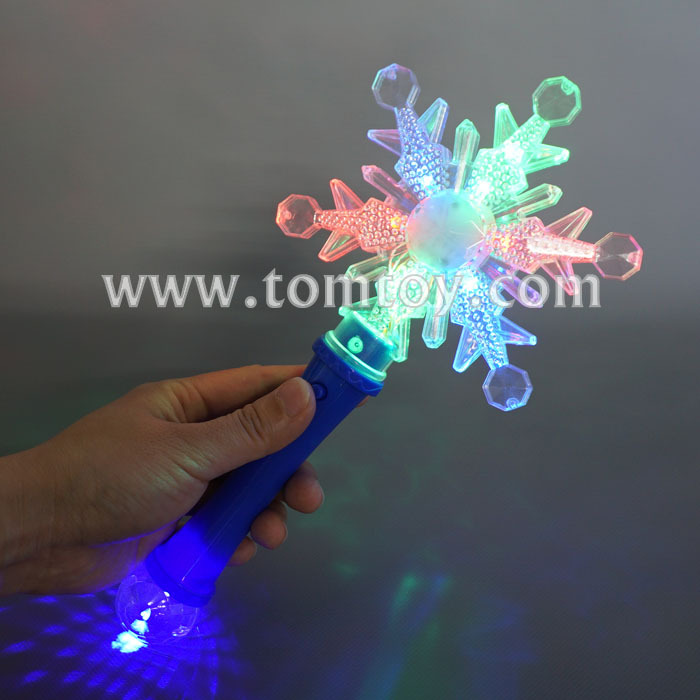 LED Light Up Snowflake Wand are a great accessory fou all events! Question: Can I ask for a sample? Answer: We provide free sample, but you need pay the sample express cost. Answer: We can print your logo on the product, but we need you to provide logo printing file, big "JPG" file or "AI" and "CDR", no limitation for software version. When you provide the file to us, please also tell me the color number, then we can print the exact color you required. 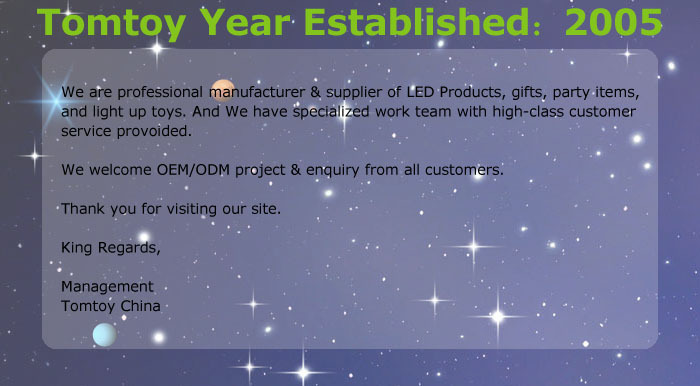 Answer: In fact we welcome for OEM or DDM project, the simplest way is that you provide draft and explanation, we can provide the design drawing to you for your reference within 48 hours. After that we can revise it until you are satisfied with it. Then we need to do mould, test , IC, PCB etc, if you need, we can also provide Bill of Material for your reference.